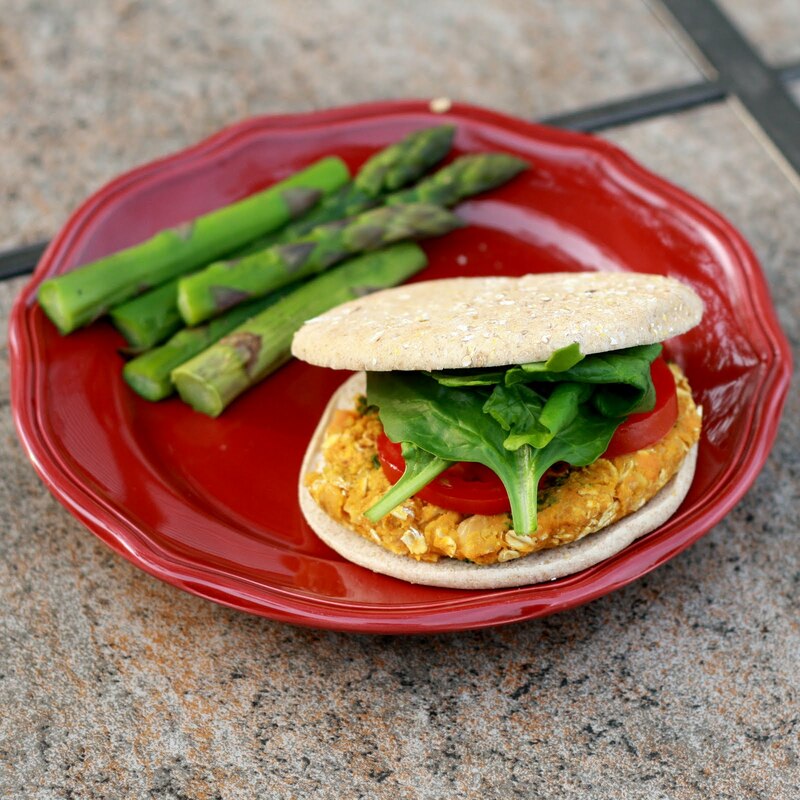 I thought I'd take today to pull a few of my favorite Spring recipes from the archives to share with those of you who maybe weren't reading last year. It's easy for recipes to get lost in the hundreds on The Sweets Life, but those listed below deserve a second mention! Curried Sweet Potato Chickpea Burgers--'Tis the season of grilling, but for those of you craving a meatless burger, these are just the thing! 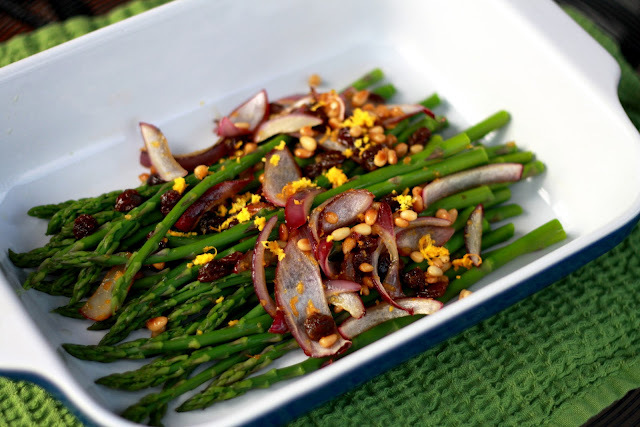 Raisin and Pine Nut Asparagus--I love asparagus and find myself buying it weekly when it's in season...this is one of my all-time favorite ways to prepare it! 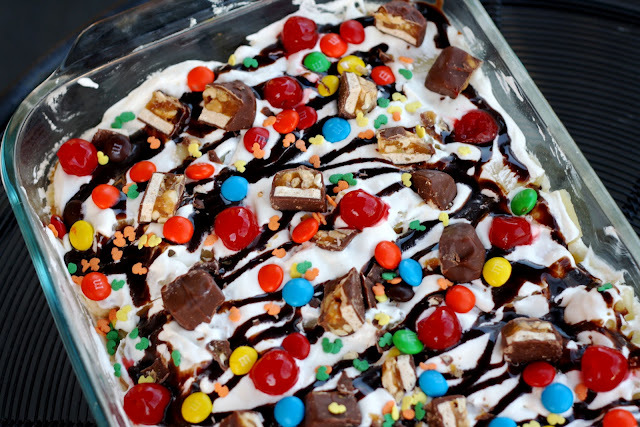 No Bake Banana Split Pie--As temperatures rise, you might try to cut back on using the oven...no worries, this bright and colorful dessert is no bake! 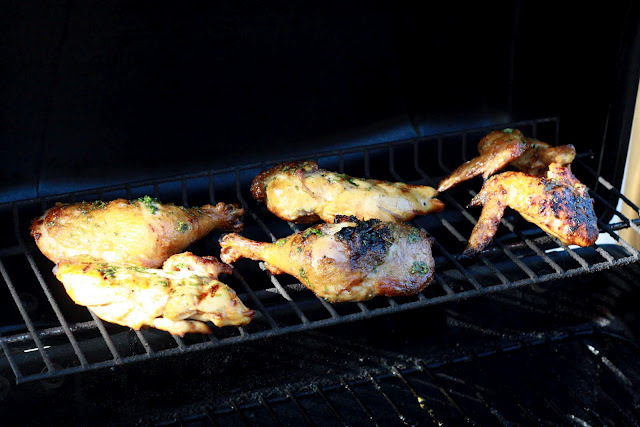 Honey Mint Glazed Chicken--This chicken is the perfect weeknight or weekend meal when you're wanting to grill and enjoy dinner on the patio! Blueberry Streusel Bars with Lemon Cream Filling--Berries are back! These dessert bars feature blueberries and lemon and scream Spring!